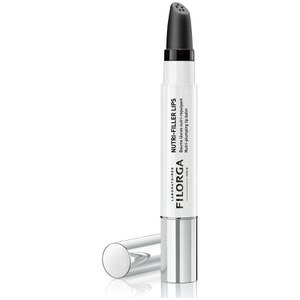 Prepare the face for an effective skincare regime with the Filorga NCTF-Essence; a priming lotion that enhances and extends the benefits of the skincare products that follow, such as a moisturiser or primer. After makeup removal, simply apply to lotion to a cotton pad and sweep over a clean face. The lotion utilises water sensors and AQUA-MX Technology, which work in synergy to deliver instant and long-lasting hydration to the complexion. 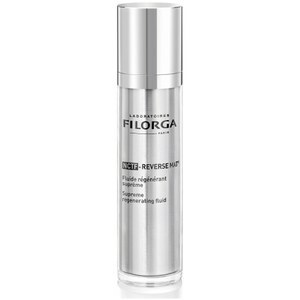 The Essence is also enriched with NCTF®, a medicine-derived polyrevitalising complex, which works to regenerate skin and reveal a youthful and radiant complexion. 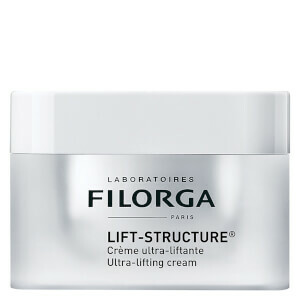 After use, skin is prepped and primed ready to absorb the most benefits from products that follow. Suitable for all skin types. Use morning and/or evening on clean skin before serum or moisturiser. Apply to the palm of the hand or with a cotton pad to the whole face, until the product has been completely absorbed. Do not rinse. Aqua (Water), Glycerin, Butylene Clycol,Glycine, Citric Acid, Dimethicone Peg-7 Phosphate Sodium Hydroxide, Sodium Polyacrylate Starch, Ethylhexyl Salicylate, Disodiumedta, Parfum (Fragance), Sodium Chloride, Sucrose Palmitate Cetrimonium Bromide, Caesalipina Spinosa Gum, Butyl Methyoxydibenzoylmethane, Salvia Sclarea (Clary) Extract, Glyceryl Linoleate, Diethylhexyl Syringylidenemalonate, Prunus Amygdalus Dulcis (Sweet Almond) Oil, Potassium Sorbate, Sodium Benzoate, Glucose, Cyamopsis Tetragonoloba (Guari) Gum, Xanthan Gum, Alteromonas Ferment Filtrate, Pentaterythrityl Tetra-Di-T-Butyl Hydroxyhydrocinnamate, Buteth-3, Potassium Chloride, Calcium Chloride, Sodium Benzotriazolyl Butylphenol Sulfonate, Phenoxyethanol, Sodiumhyaluronate, Magnesium Sulfate, Glutamine, Hcl, Arginine, Alanine, Histidine, Valine, Tributyl Citrate, Leucine, Threonine, Isoleucine, Tryptophan, Deoxycytidine, Deoxyguanosine, Deoxythymidine, Glutathione, Aspargine, Aspartic Acid, Ornithine, Glutamic Acid, Nicotinamide Adeinine Dinucleotide, Tocopherol Proline, Aminobuytric Acid, Methionine Taurine, Diphosphate, Disodium Flavine Adenine Dinucleotide, Sodiumuridine, Pyriodoxine Hcl, Tocopheryl Phosphate. Usually despatched within a week.